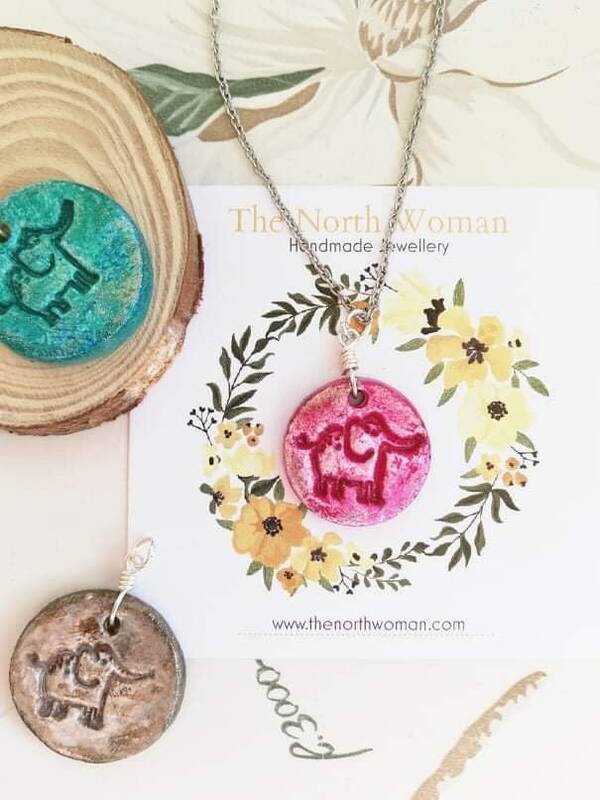 I've added many more animals to my popular handmade clay pendants! 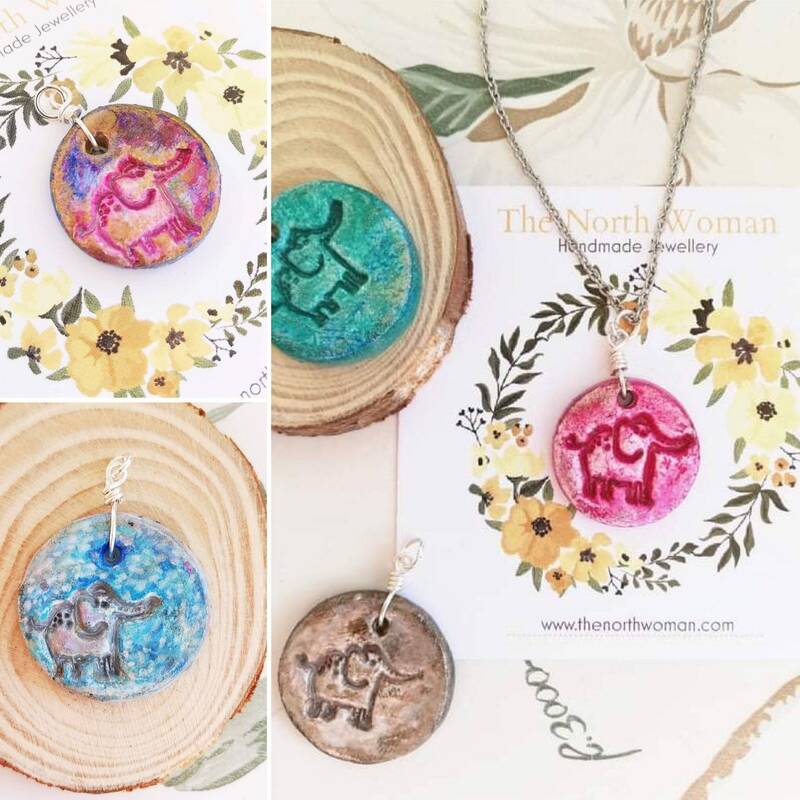 These also now include the option to personalise the pendants by adding a monogrammed initial. 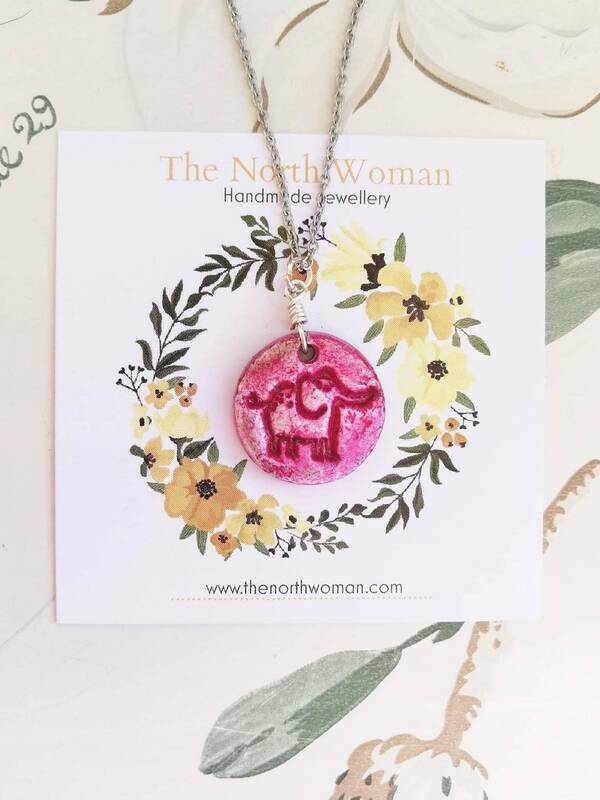 This particular necklace has a little elephant design. They are sized approx 2cm wide. On each the elephant is 1.8cm wide (head to trunk!) and 1.1cm high. They are 3-4mm thick. 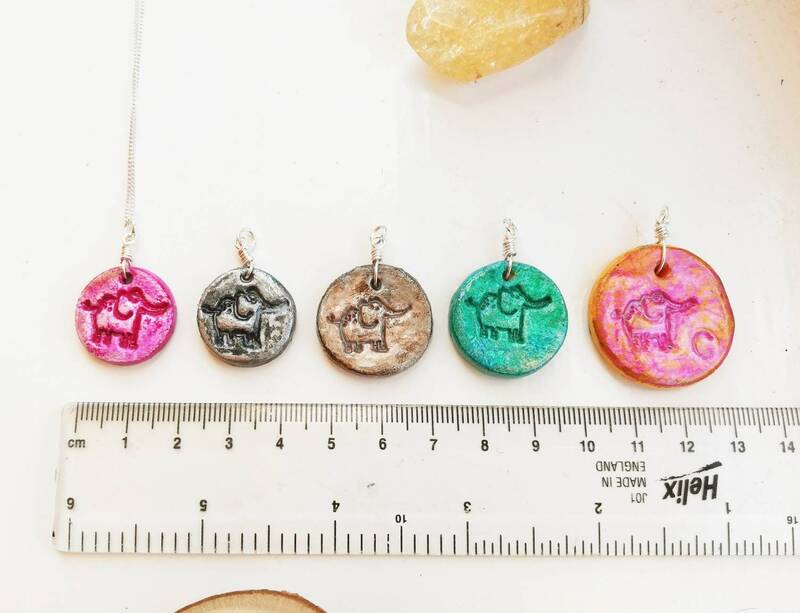 I handmake each pendant and paint them, so each is entirely unique. The animal motif is inlaid in the clay, creating a three dimensional design. These are hand formed so not always 'perfect' circles and there may be small indentations. I think (and hope you agree) that this is part of the charm with artisan creations, but I wanted to point it our just in case. These are made using air dry clay which is then painted and thrice varnished for protection. Please see my shop FAQ section for care advice for these pieces. 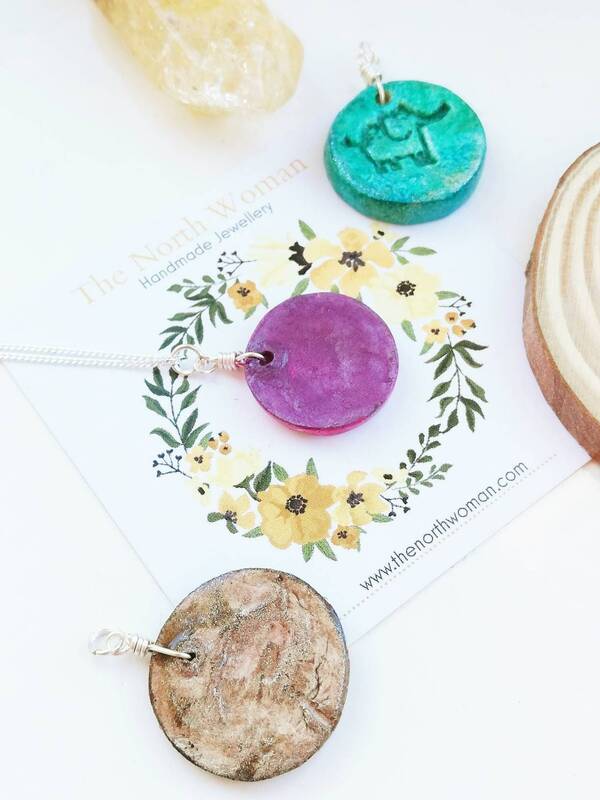 PERSONALISATION: Please specify which colour and chain you would like. I also have a slightly larger elephant pendant which has the option of adding a custom monogram initial. (Lisiting coming soon) I will always contact you on receipt of an order though to double check the design choice and gather extra specifications if there are any. TIME-SCALE: These pieces are made to order and I ask at least a week (7 days) to finish the necklace after receiving your instructions. I will keep you updated during the process and send a picture prior to postage, so we can double check you are happy. Please check the postage shipping time for your location, which is on top of the one week make time. 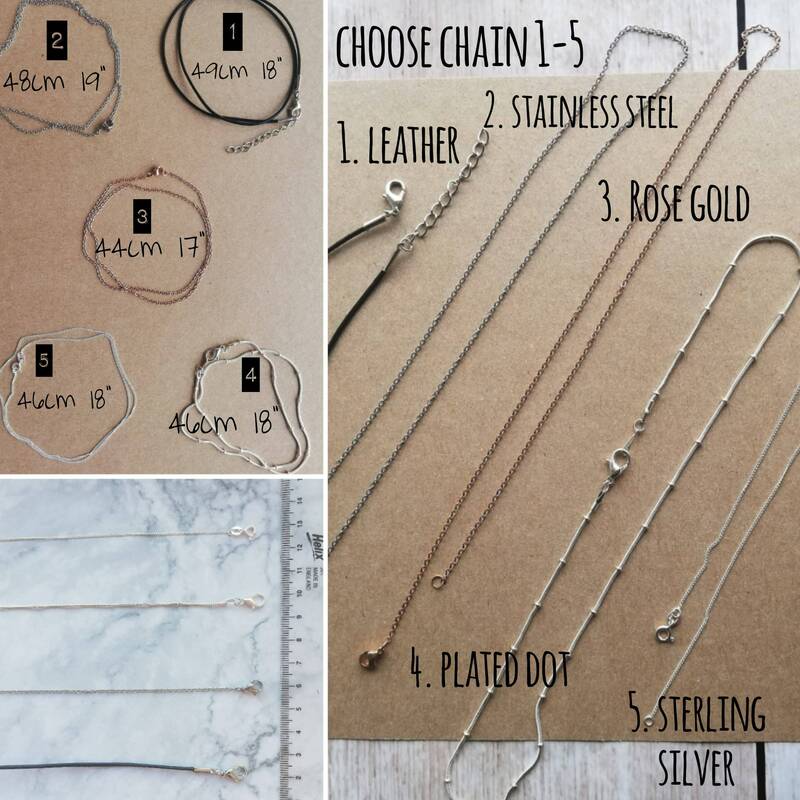 Necklaces are available with either a leather cord, stainless steel (can be a good alternative for sensitive skin), rose gold, silver plated or sterling silver chain. 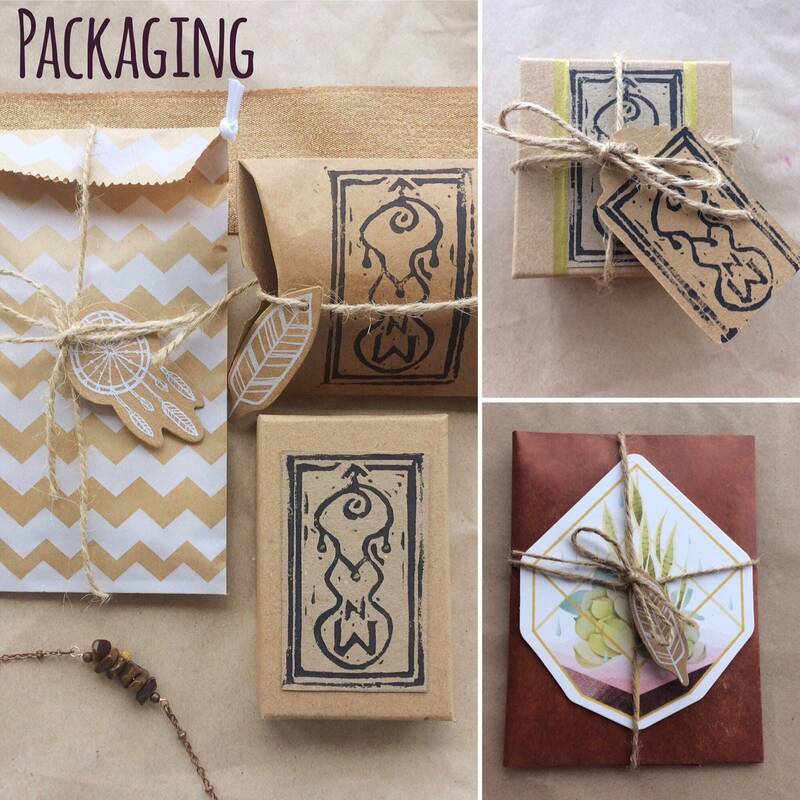 All are presented on the card shown and presented in a hand finished lino printed gift box. I also offer additional gift wrapping options and am always happy to include gift messages. 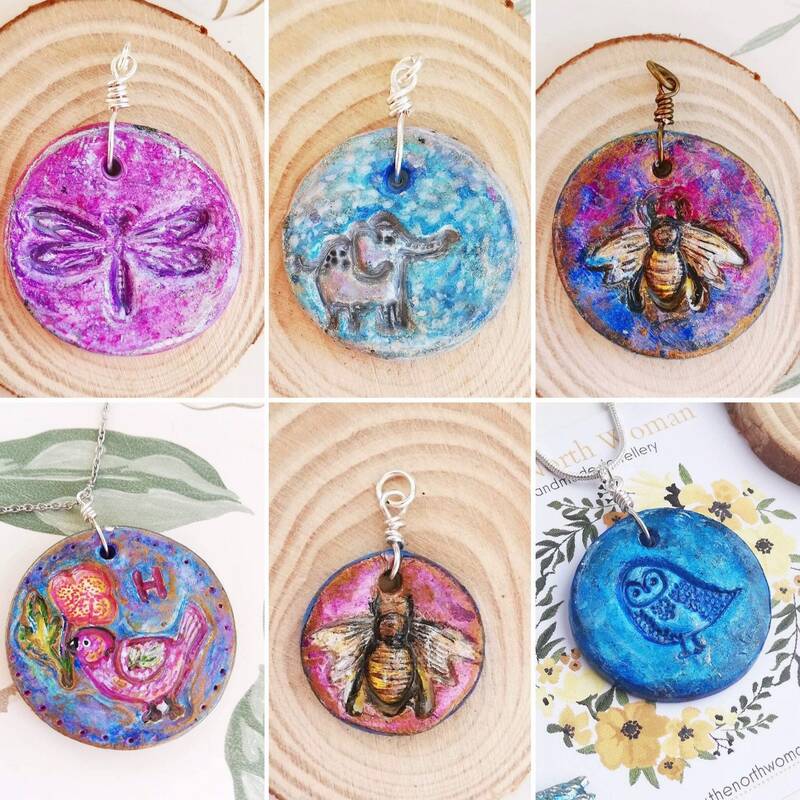 I have become quite addicted to these pendants (especially the animal ones) so have a look in my shop for similar including owls, penguins, bees, floral designs and many more - now all available to customise. As always, you can also request a custom order from me directly by sending me a message through the shop.